Titanium & Alloys Manufacturer In India (DALI ELECTRONICS / VIJAY COMMERCIAL HOUSE) provides quality products, at competitive prices, with the quickest deliveries. We offer the largest selection of titanium wire, bar, plate, sheet, pipe, tube and more as well as the most value added services in the industry for all end use markets. Titanium is a lustrous, white metal when pure. Titanium minerals are quite common. 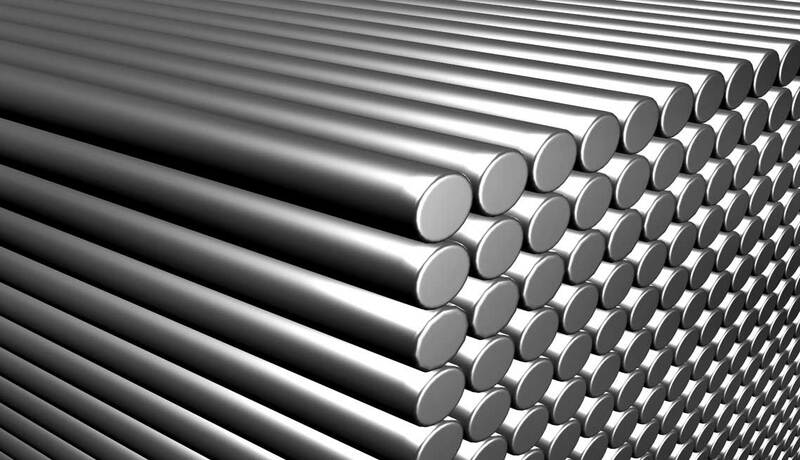 The metal has a low density, good strength, is easily fabricated, and has excellent corrosion resistance. The metal burns in air and is the only element that burns in nitrogen. It is marvellous in fireworks. Titanium is resistant to dilute sulphuric and hydrochloric acid, most organic acids, damp chlorine gas, and chloride solutions. Watch glass on a black surface with a small portion of white powder. Titanium dioxide is the most commonly used compound of titanium. TiO2 powder is chemically inert, resists fading in sunlight, and is very opaque: this allows it to impart a pure and brilliant white color to the brown or gray chemicals that form the majority of household plastics. In nature, this compound is found in the minerals anatase, brookite, and rutile. Paint made with titanium dioxide does well in severe temperatures, and stands up to marine environments. Pure titanium dioxide has a very high index of refraction and an optical dispersion higher than diamond. In addition to being a very important pigment, titanium dioxide is also used in sunscreens. Due to their high tensile strength to density ratio, high corrosion resistance, fatigue resistance, high crack resistance, and ability to withstand moderately high temperatures without creeping, titanium alloys are used in aircraft, armor plating, naval ships, spacecraft, and missiles. For these applications titanium alloyed with aluminium, zirconium, nickel, vanadium, and other elements is used for a variety of components including critical structural parts, fire walls, landing gear, exhaust ducts (helicopters), and hydraulic systems. In fact, about two thirds of all titanium metal produced is used in aircraft engines and frames. 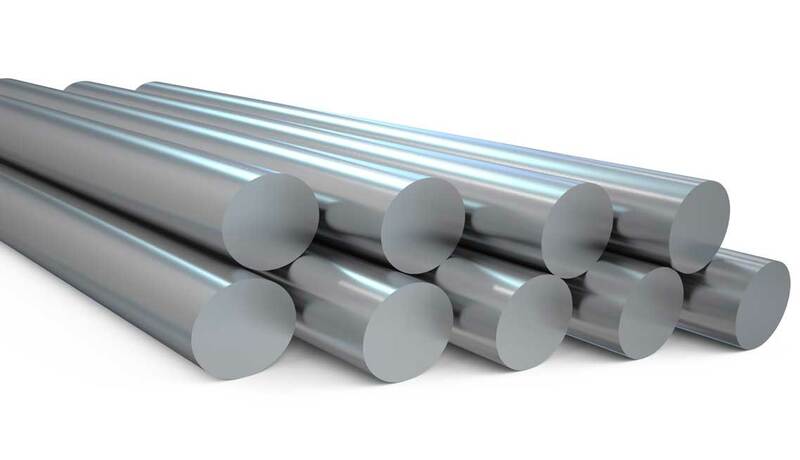 Due to its high corrosion resistance to sea water, titanium is used to make propeller shafts and rigging and in the heat exchangers of desalination plants; in heater-chillers for salt water aquariums, fishing line and leader, and for divers’ knives. Titanium is used to manufacture the housings and other components of ocean-deployed surveillance and monitoring devices for scientific and military use. The former Soviet Union developed techniques for making submarines with hulls of titanium alloys. techniques were developed in the Soviet Union to forge titanium in huge vacuum tubes. Welded titanium pipe and process equipment (heat exchangers, tanks, process vessels, valves) are used in the chemical and petrochemical industries primarily for corrosion resistance. 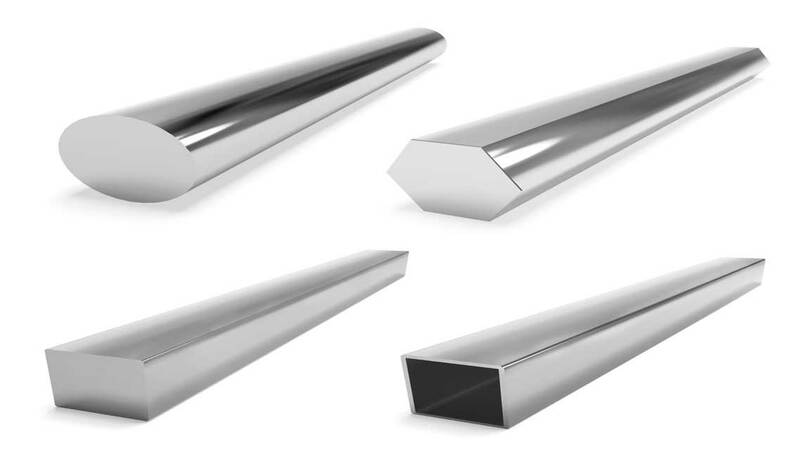 Specific alloys are used in downhole and nickel hydrometallurgy applications due to their high strength (e. g.: titanium Beta C alloy), corrosion resistance, or combination of both. The pulp and paper industry uses titanium in process equipment exposed to corrosive media such as sodium hypochlorite or wet chlorine gas (in the bleachery). Other applications include: ultrasonic welding, wave soldering, and sputtering targets. Titanium metal is used in automotive applications, particularly in automobile or motorcycle racing, where weight reduction is critical while maintaining high strength and rigidity. The metal is generally too expensive to make it marketable to the general consumer market, other than high-end products, particularly for the racing/performance market. Some late model Corvettes have been available with titanium exhausts, and the new Corvette Z06’s LT4 supercharged engine uses lightweight, solid titanium intake valves for greater strength and resistance to heat. Titanium is used in many sporting goods: tennis rackets, golf clubs, lacrosse stick shafts; cricket, hockey, lacrosse, and football helmet grills; and bicycle frames and components. Although not a mainstream material for bicycle production, titanium bikes have been used by race teams and adventure cyclists. Titanium alloys are also used in spectacle frames. This results in a rather expensive, but highly durable and long lasting frame which is light in weight and causes no skin allergies. Many backpackers use titanium equipment, including cookware, eating utensils, lanterns, and tent stakes. Though slightly more expensive than traditional steel or aluminium alternatives, these titanium products can be significantly lighter without compromising strength. Titanium is also favored for use by farriers, because it is lighter and more durable than steel when formed into horseshoes. Because of its superior strength and light weight when compared to other metals traditionally used in firearms (steel, stainless steel, and aluminium), and advances in metalworking techniques, the use of titanium has become more widespread in the manufacture of firearms. Primary uses include pistol frames and revolver cylinders. For these same reasons, it is also used in the body of laptop computers. Some upmarket categories of tools made to be lightweight and corrosion-resistant, such as shovels and flashlights, are made of titanium or titanium alloys as well. Because of its durability, titanium has become more popular for designer jewelry (particularly, titanium rings). Its inertness makes it a good choice for those with allergies or those who will be wearing the jewelry in environments such as swimming pools. Titanium is also alloyed with gold to produce an alloy that can be marketed as 24-carat gold, as the 1% of alloyed Ti is insufficient to require a lesser mark. The resulting alloy is roughly the hardness of 14-carat gold and thus is more durable than a pure 24-carat gold item would be. Titanium’s durability, light weight, dent- and corrosion resistance makes it useful in the production of watch cases. Some artists work with titanium to produce artworks such as sculptures, decorative objects and furniture. The inertness and ability to be attractively colored makes titanium a popular metal for use in body piercing. Titanium may be anodized to produce various colors, which varies the thickness of the surface oxide layer and causes interference fringes. Titanium biocompatibility: Because it is biocompatible (it is non-toxic and is not rejected by the body), titanium has many medical uses, including surgical implements and implants, such as hip balls and sockets (joint replacement) that can stay in place for up to 20 years. 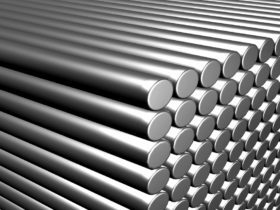 The titanium is often alloyed with about 4% aluminium or 6% Al and 4% vanadium. Titanium has the inherent ability to osseointegrate, enabling use in dental implants that can last for over 30 years. This property is also useful for orthopedic implant applications. These benefit from titanium’s lower modulus of elasticity (Young’s modulus) to more closely match that of the bone that such devices are intended to repair. As a result, skeletal loads are more evenly shared between bone and implant, leading to a lower incidence of bone degradation due to stress shielding and periprosthetic bone fractures, which occur at the boundaries of orthopedic implants. However, titanium alloys’ stiffness is still more than twice that of bone, so adjacent bone bears a greatly reduced load and may deteriorate. Titanium is also used for the surgical instruments used in image-guided surgery, as well as wheelchairs, crutches, and any other products where high strength and low weight are desirable. Due to its extreme corrosion resistance, titanium containers have been studied for the long-term storage of nuclear waste (containers lasting over 100,000 years are possible under proper manufacturing conditions to reduce defects in the process). A titanium “drip shield” could also be placed over other types of containers to further contain the waste. There are several grades available… but readly and commonly available with us is Grade II & Grade V. Other Grades can be made available for large quantities. Grade 1 is the most ductile and softest titanium alloy. 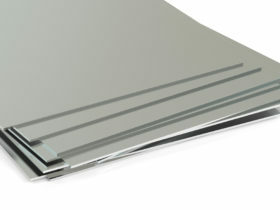 It is a good solution for cold forming and corrosive environments.ASTM/ ASME SB-265 provides the standards for commercially pure titanium sheet and plate. Grades 1-4 are unalloyed and considered commercially pure or “CP”. Generally the tensile and yield strength goes up with grade number for these “pure” grades. The difference in their physical properties is primarily due to the quantity of interstitial elements. They are used for corrosion resistance applications where cost, ease of fabrication, and welding are important. 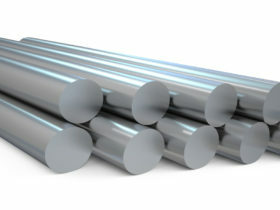 Grade 5, also known as Ti6Al4V, Ti-6Al-4V or Ti 6-4, is the most commonly used alloy. It has a chemical composition of 6% aluminum, 4% vanadium, 0.25% (maximum) iron, 0.2% (maximum) oxygen, and the remainder titanium. It is significantly stronger than commercially pure titanium while having the same stiffness and thermal properties (excluding thermal conductivity, which is about 60% lower in Grade 5 Ti than in CP Ti). Among its many advantages, it is heat treatable. This grade is an excellent combination of strength, corrosion resistance, weld and fabricability. Generally, Ti-6Al-4V is used in applications up to 400 degrees Celsius. It has a density of roughly 4420 kg/m3, Young’s modulus of 115 GPa, and tensile strength of 1000 MPa. 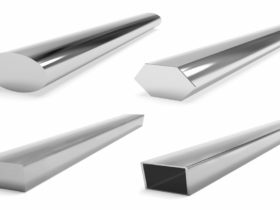 By comparison, annealed type 316 stainless steel has a density of 8000 kg/m3, modulus of 193 GPa, and tensile strength of 570 MPa. 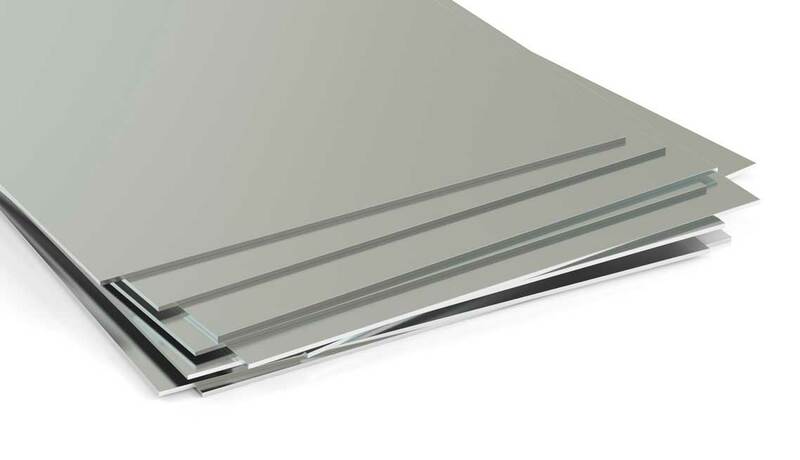 Tempered 6061 aluminium alloy has a density of 2700 kg/m3, modulus of 69 GPa, and tensile strength of 310 MPa, respectively. Grade 9 contains 3.0% aluminium and 2.5% vanadium. This grade is a compromise between the ease of welding and manufacturing of the “pure” grades and the high strength of Grade 5. It is commonly used in aircraft tubing for hydraulics and in athletic equipment. Grades 13, 14, and 15 all contain 0.5% nickel and 0.05% ruthenium. Grade 18 contains 3% aluminium, 2.5% vanadium and 0.04 to 0.08% palladium. This grade is identical to Grade 9 in terms of mechanical characteristics. The added palladium gives it increased corrosion resistance.